Ian, keep going! Some really nice pics and I can listen to or read your memories all day. Here is that stalking picture. 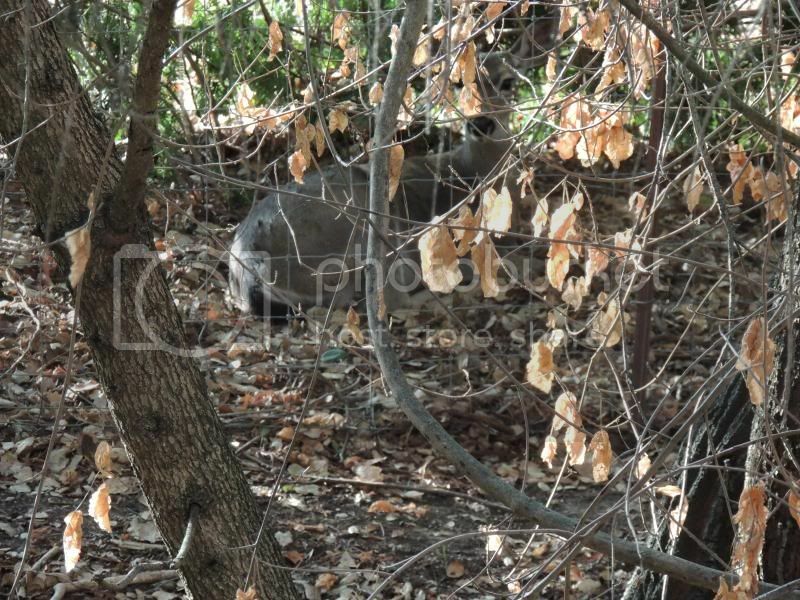 That'a a great pic, he's camped up for the day. Ian....did Polly the GSP come from our mutual friend ??? No she didn't, though my sister bought one from Ron. Your probaby right, it's close to Nyngan. The boys would have called in there to settle their partched throats. The property they hunted was out that way. Not me, but an old mate of mine. That is a great shot- a classic! Still can't get over the saddles you fellers used. That saddle is nearly identicle to my first new saddle that cost me 150 quid. My new saddle is a Sid Hill Barcoo Poly, more Americanized. 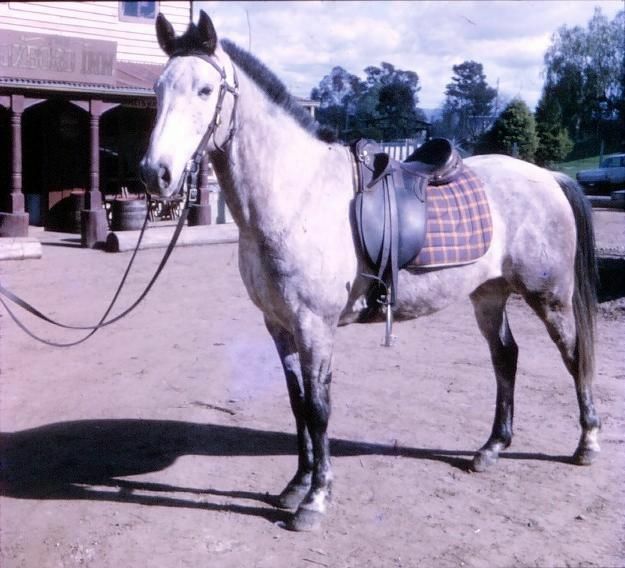 Old saddle on Australian Stock Horse Smokin' Joe. I used to spend about fourteen hours a day in that saddle. My new ons has a similar base to the American saddle. I bought it around 1970, you can't really tell from this picture. 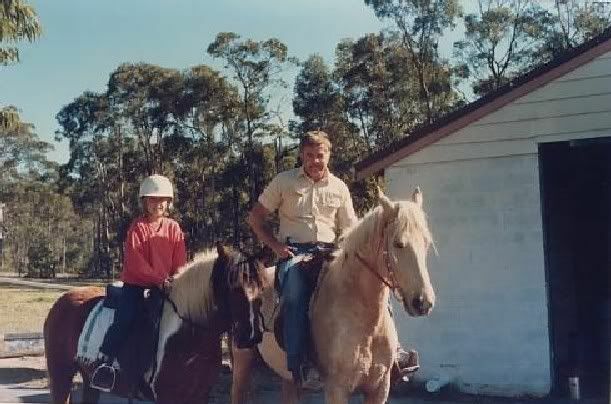 The pic was taken here teaching my stepdaughter to ride about 15 years ago. I can tell. It does look more like the saddles I am accustomed to using. Which did you prefer? I prefer the the new one best, it displaces itself all over the horses back rather than on three points, better for the horse really. Here are the newer ones again, even more like an Ameriacan saddle. Generated in 0.013 seconds in which 0.005 seconds were spent on a total of 14 queries. Zlib compression enabled.